Keshab Bhattarai is a senior lecturer in economics, specialising in general equilibrium analysis of macro and micro economic policy issues and econometrics. Principle investigator for a team, which includes Prof David Tuerck and Prof Jonathan Haughton of the Suffolk University in Boston, USA, for the National Centre for Policy Analysis (NCPA) in Houston, Texas, developing a dynamic CGE model to assess impacts of taxes in growth and redistribution in the US economy, Feb 2015 - Oct 2016. The total value of this grant is above $400,000, of which $112,500 (£75,000) was awarded to the University of Hull. Co-investigator for a team awarded a £75,000 EPSRC grant to construct a dynamic CGE model of UK economy for evaluation of energy sector policies in 2006/7 for Supergen – Future Network Technologies, with Richard Green (group leader), Jon Atkins, Milton Yago and Steve Trotter. Total value of the project was £3,419,650. Fiscal Policy For Growth, Efficiency And Redistribution In Vietnam: A CGE Analysis (with Dr Chan Van Nguyen of National School of Economy, Hanoi, Vietnam) £10,000. Dr Bhattarai has publications in 4*, 3* and 2* journals in his career including those in International Economic Review, Economica, Manchester School, Review of International Economics, Economic Record, Applied Economics, Empirical Economics, Review of Development Economics, Southern Economic Journal, North American Journal of Economics and Finance and Applied Financial Economics. 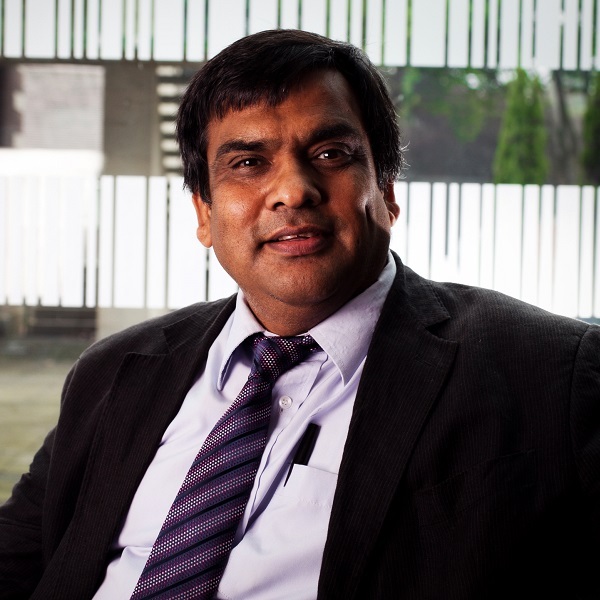 He has contributed to the Business and Management Studies Panel in the REF2014, RAE 2008 and RAE2001. Bhattarai K, P. Backman F. Conte, J. Haughton, M. Head and D. G. Tuerck (2017) 'Tax plan debates in the US presidential election: A dynamic CGE analysis of growth and redistribution trade-offs', Economic Modelling, online 7 September. Haughton J, Bhattarai K, P. Backman and D. G. Tuerck (2017) 'The Distributional Effects of the Trump and Clinton Tax Proposals', Atlantic Economic Journal, online since 14 September. Bhattarai K. (2017) 'Dynamic CGE Model of the Chinese Economy for Fiscal and Financial Policy Analysis', China-USA Business Review, Apr. 2017, Vol. 16, No. 4, 141-164. Bhattarai K, J Haughton, M. Head and D. G. Tuerck (2017) 'Simulating Corporate Income Tax Reform Proposals with a Dynamic CGE Model', International Journal of Economics and Finance, Vol. 9, No. 5, 20-35. Published in various refereed journals including the International Economic Review, Economica, Southern Economic Journal, Review of International Economics, Economic Record, Manchester School, Economic Letters, Applied Economics, Applied Financial Economics, Economic Modelling, North American Journal of Economics and Finance, Empirical Economics, Review of Development Economics, Applied Financial Economics Letters, Atlantic Economic Journal, International Advances in Economic Research and International Economics and Economic Policy, International Business Research. Senior Fellow, Rimini Centre for Economic Analysis, Rimini, Italy and Ontario in Canada. Grant of £75000 ($112,500) to the University of Hull for developing a dynamic CGE model to assess impacts of taxes in growth and redistribution in the US economy as a principal investigator. The total value of this grant is above $400,000. Feb 2015 - Oct 2016. Next phase of this project under consideration. EPSRC grant for Supergen –Future Network Technologies with Richard Green (group leader), Jon Atkins, Milton Yago and Steve Trotter £75,000 (2006/07) – the total value of the project £3,419,650. As co-investigator, led the Hull team in constructing a dynamic CGE model of UK economy for evaluation of energy sector policies at the University of Hull. British Academy grant with Mike Ryan: £7,500 (2005-2006) for Ghanaian Economic Model. Departmental seed corn grant of £5,000 for 2000-2001 – labour market, macroeconomic policy and general equilibrium models of the UK economy. Dynamic CGE model for analysis of fair tax in the US for the Suffolk University and Beacon Hill Institute in Boston, USA ($10,000) in 2006.